High School and Higher Secondary School Regional Conference - MGOCSM Students Center, Kottayam (September 6,7). 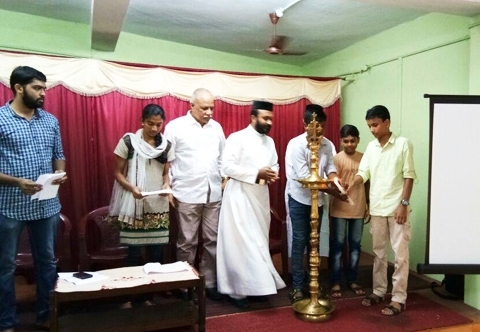 MGOCSM Inauguration of the high school and the higher secondary school conference held in kottayam students centre in the presence of Rev. Fr. Shyju P. Mathai, Rev. Fr. Mathew K. Mathew, Mr. Febby Thomas Biju, Prof. John Chandy, Miss. Marilyn Rachel Shaji and Miss. Elbee Maria Cyril.